Welcome to the hotel where some guests check out... but never leave! Many authorities list the 1886 Crescent Hotel in Eureka Springs, Arkansas, as the most haunted hotel in America. Guests see black figures in the mirror, and orbs and ghostly mists in the shape of a little girl. They hear ghostly voices. Books fly through the air. EMF meters go crazy beeping and flashing. 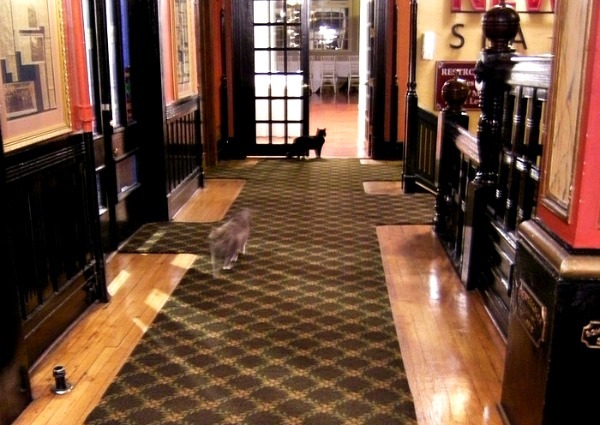 People are so obsessed with the ghosts of this hotel that they forget to mention its most important asset: the cats. 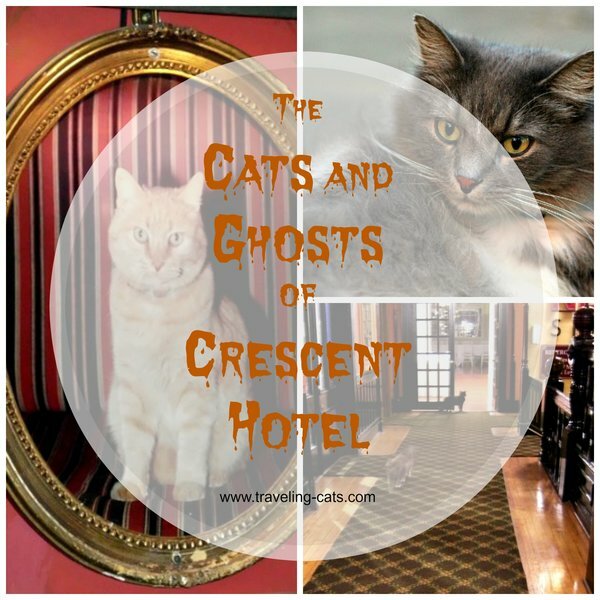 "The first cat was Morris, a yellow tabby who came to the Crescent Hotel in 1979 and remained there until his death in 2000. There's a cat door on the back side of the lobby that was made just for him. 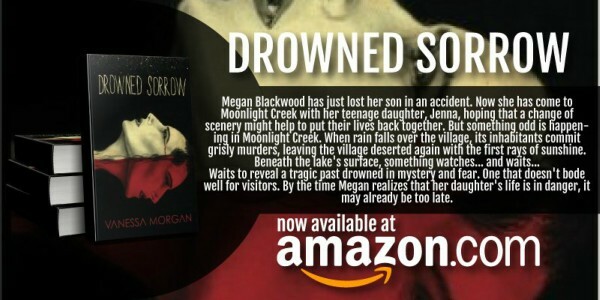 Today people still report seeing his ghost roaming the halls," says author Kat Robinson. 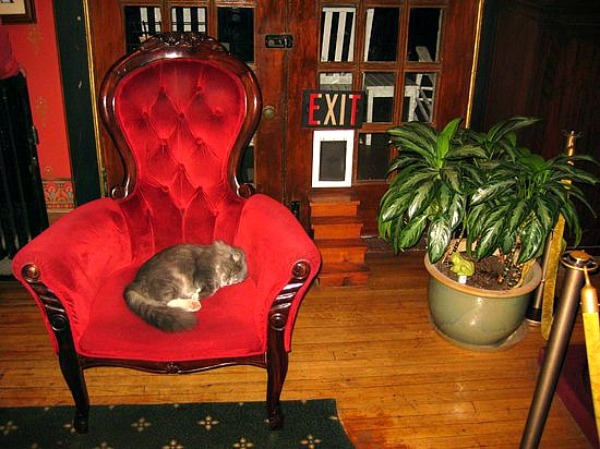 "Since then there have been cats on and off at the Crescent Hotel. Frisco and Shadow were born at the Crescent. Frisco loved to sleep in the rooms with the guests. 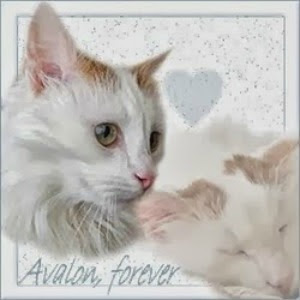 She was a polydactyl cat, meaning she had six toes on each front foot. Shadow, on the other hand, was the shy type. Rufus with his crooked tail was next. Apparently, he loved to attend weddings at the Crescent," continues Kat Robinson. 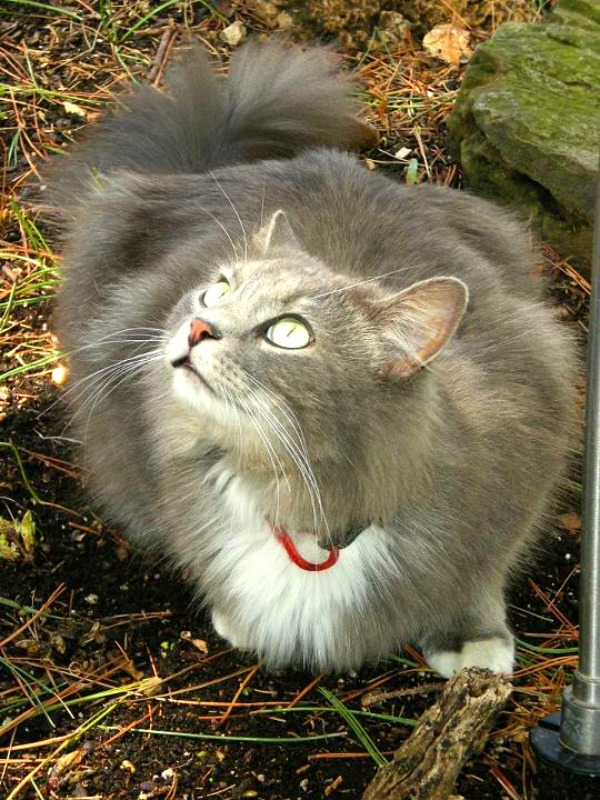 "The current feline residents are Casper and Jasper who came to the Crescent Hotel on Halloween 2009. Casper loves to stalk dogs that come to the hotel with their owners. 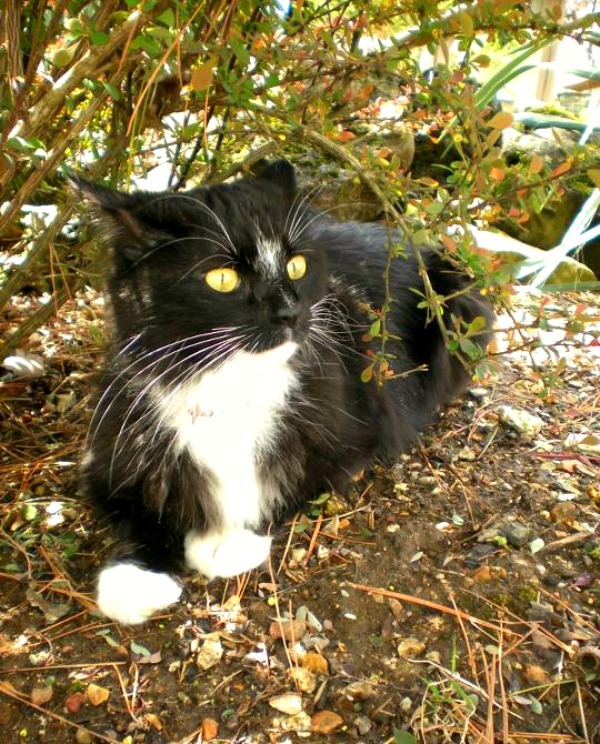 Jasper is more comfortable stalking people and loves to swipe at shoelaces as people pass." Crescent Hotel now cashes in on the haunted hype by organizing ESP weekends and ghost tours. Tours run nightly starting at 8 p.m. and last 75 minutes. "Something bizarre does not happen every night on every tour, but sometimes they do happen," says Keith Scales, director of the hotel's ghost tours department. In any case, even if you don't encounter any ghosts, you are guaranteed to see a bunch of cute cats. Book your stay at 1886 Crescent Hotel on Booking.com. 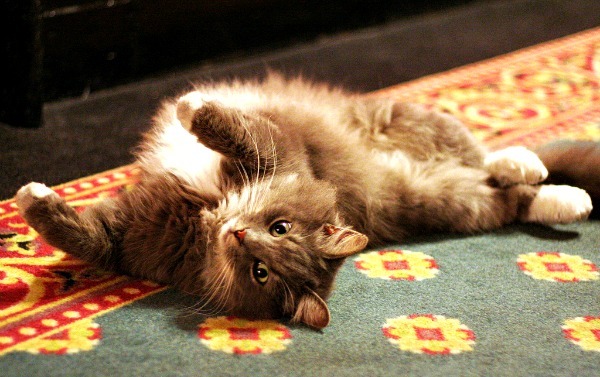 Cat pictures by Kat Robinson and Grav Weldon. P.S. 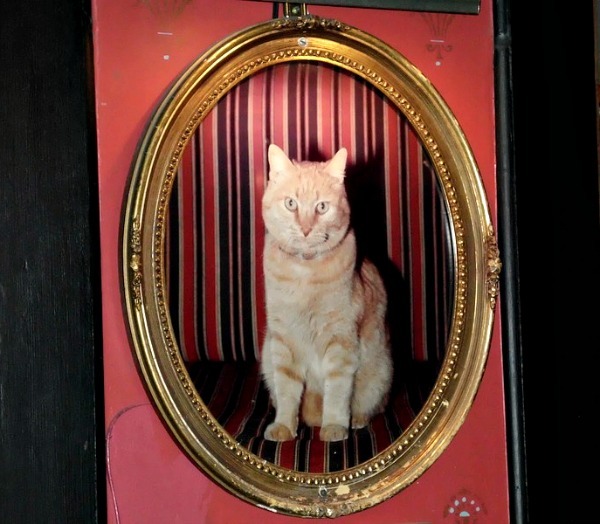 Have you seen our post Cats in the most haunted town in England? Casper and Jasper sound like great characters, pawfect fur a haunted hotel! All cats are delightful, whether alive or in ghostly form. OMG! That is not oo far from us. We will have to plan a spooktacular weekend visit! I have not heard of this hotel before and now I super excited. oh you must go if you live nearby. We visit Eureka Springs every June. We don't stay at this hotel but we visit it each time. They allow you to walk around and it has a sky bar at the top that has a wonderful view....we like to go in the evening as the sun is setting and have a couple drinks. That is a spooky cool hotel! Such pretty cats. That's funny the one stalks people. Our cat does that. I've been to Eureka Springs but I didn't visit the hotel. I would love to go there :) Such cute kitties. Those cats are beautiful. And, what an interesting story. I had no idea that ghosts of animals could haunt a building. Thanks for linking up. Have a great week! Those kitties are brave for staying at a haunted hotel! Very spooky!!! What a great place! I've been through Eureka Springs many, many times and never even heard of this place. Gonna have to stop when we are next that direction! 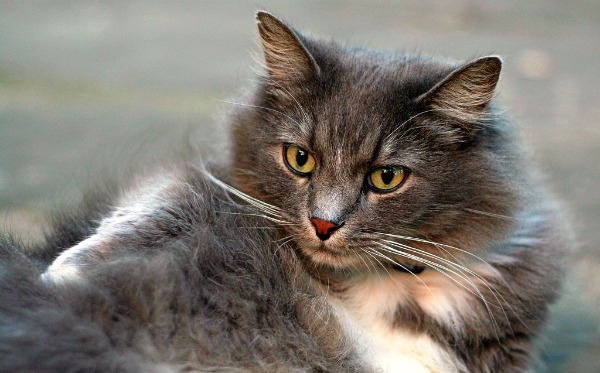 Interesting photos - the 3 grey cats are especially beautiful. 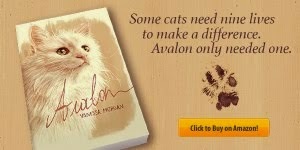 Thanks for linking on Amanda's Books and More. 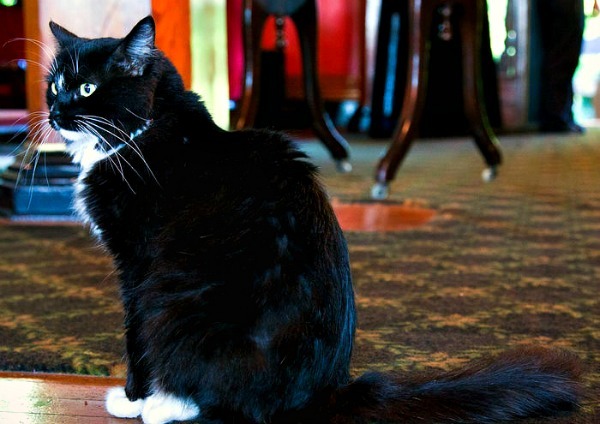 I would love to stay at an hotel with cats, even if it's haunted! Gorgeous cats! I've heard about that place. I'd like to visit but I know enough about cats to not go. A cat never yowls at nothing. If you think your cat is screeching at the wall you just aren't seeing what the cat is. Voilà un endroit où j'aimerais bien faire un petit tour. Les chats et les fantômes vont bien ensemble. Ils semblent être connectés à l'autre univers. Ces deux chats sont magnifiques. Adorable cats! That one moving shot makes that one cat look like a ghost! Spooky! I would love to stay in that hotel. I would love to visit this hotel! Sounds nice. They are soooo precious! Thanks for sharing at My Flagstaff Home! So cool!!! The cats are gorgeous!!! This sounds like the cats meow! Would be a fun place to tour and I would enjoy seeing the gorgeous cats! Even the ghosties, (I think) lol! Thanks for sharing with SYC. Awesome! I will definitely be checking this place out. Thanks for sharing! We stayed at the Crescent Hotel over the 4th of July holiday and saw both of these cats! 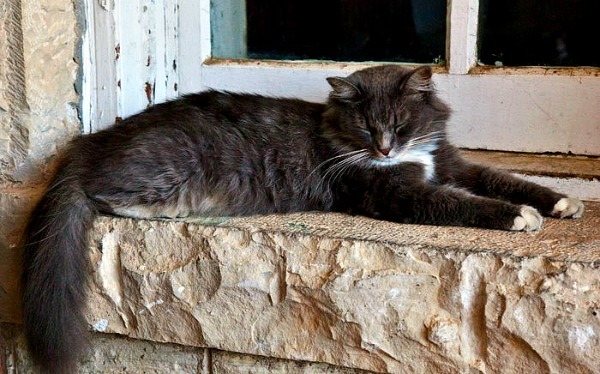 I actually saw Morris the cat on a couple of occasions when I first started going there. He was old and had arthritis but he was well taken care of.